This is by no means an exhaustive list of what's available in the area of system-built homes or modular homes. This report is to introduce you to the world of prefab housing. 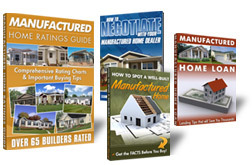 If you are in the factory-built housing industry, you probably use a number of terms to describe your industry and the type of construction methods you use. “Prefab” is a general term that can mean many different things. It has become synonymous with homes that have been partially or fully assembled in a factory. 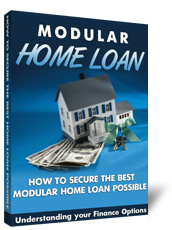 Another important term is “system built modular homes”. 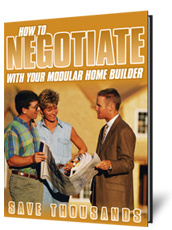 Most modular home factories across the country use this term when describing the building method for their product. I for one am excited to see the latest versions of custom modern modular homes, “System Built” to emerge globally. These homes are well thought out, beautiful, and energy-efficient. And to anyone who has any doubts about the quality of today's system built homes, I'd ask, would you rather buy a home that has been built outdoors exposed to the weather and built by hand? Or, would you rather buy a house built in a factory setting to tight specs exceeding that of site-built home standards? It’s a fact that system built homes contain 20% to 30% more lumber in them to withstand the transportation process. Single-family dwellings consisting of one, two or more sectional units and constructed to Federal HUD code. Zoning regulations and ordinances of the local Municipality or County might not permit use of mobile and manufactured homes in all areas of their jurisdiction. The most affordable type of home, costing $35 to $55 per square foot. 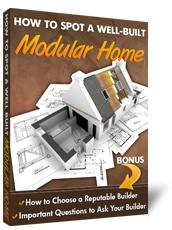 Modular or system-built refers to a method of building a home, rather than a type of home. A modular home can be built in a factory from a stock modular home plan or from a customized plan, to the state, local or regional codes of where the home will be set up. Modular homes have not typically experienced the zoning restrictions and discriminative ordinances applicable to manufactured and mobile homes. Panelized homes or sometimes referred to as prefab homes are factory-built homes in which panels — whole walls with windows, doors, wiring, and outside siding — are transported to the site and assembled. Panels are made from insulating foam sandwiched between two layers of structural material. The panels are lightweight and might already be filled with insulation when they arrive on the site. The homes must meet the state or local building codes of where they are sited. This category includes wood-framed factory-built houses or cabins where building materials are factory-cut to design specifications and transported to the site to be assembled. Prefab building kits designed as wood-framed (also known as balloon-frame, 2 x 4, 2 x 6 or stick-built construction) as well as prefabricated home kit / cabin kit using post-frame method. The homes or cabins must meet local or state building codes of the area where they will be sited. Cedar homes are aromatic to people and problematic to insects: The heartwood of northern white cedar produces organic compounds called thujaplicins – which create that fresh, pleasant cedar aroma. But to insect pests, such as moths and termites, cedar just plain stinks. They’ll avoid cedar homes and instead search out inviting, tasty pine structures. Cedar home kits include everything you need to build the home, itself. Except for the interior walls, floors, ceilings, windows and doors. All on site improvements like the foundation, plumbing and electrical system are not usually included in a kit. Log homes provide their owners with a comforting and relaxing sense of informality and simplicity. The mass of logs produces heating and cooling benefits, and reduces noise transmission into and throughout the home. These are very attractive characteristics of log homes, but there are also challenges in construction and limitations in decorating. These aspects require special design considerations and have unusual maintenance requirements. Basic Kits Are...WALLS ONLY: The walls-only log home package includes all the logs for the outside walls, including fasteners. Roof beams and staircases may be added. STRUCTURAL SHELL: Shell This package includes everything that's in the walls-only package, plus all components necessary to keep the weather out, such as exterior doors, windows, and the roofing system.